Aother drawn interlude, and right before a drawn page. This one wasn't titled. 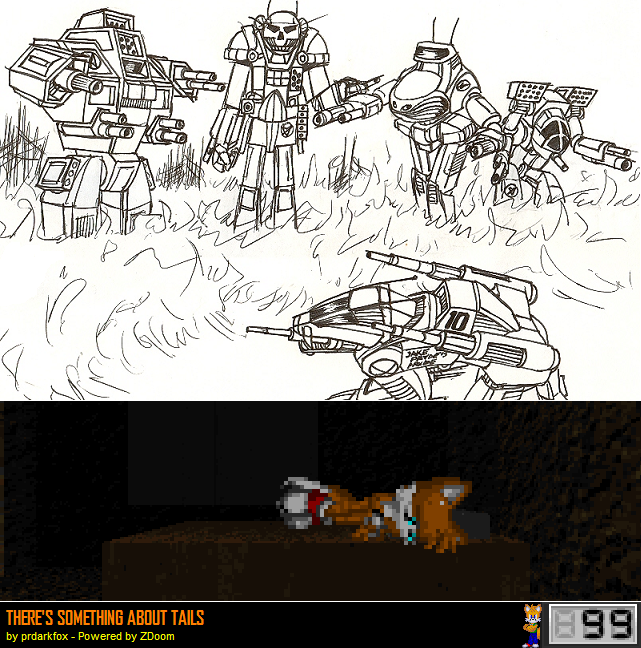 BattleMechs from left to right: Sunder, Atlas, Annihilator, and a custom model loosely based on the Mad Cat. And they are definitely hunting Jake's Red Fox II, below.